We all have memories that will forever dwell in our minds. A first kiss, a first job...or the first time a rogue Artificial Intelligence attempts to murder you using a neurotoxin, for any Portal fans. 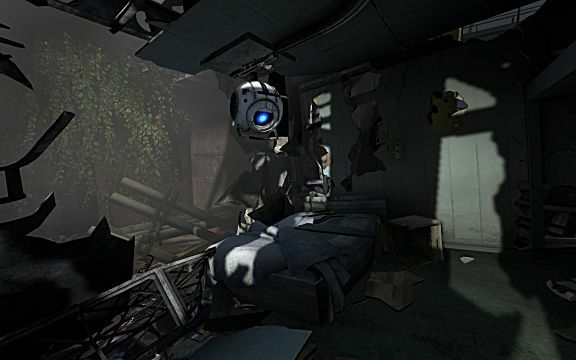 Released in 2007 by Valve, Portal became an instant internet hit, featuring innovative gameplay mechanics and a charismatic universe -- to the point of immortalizing the sentence “the cake is a lie”. In 2011, the series received its second installment, with more gameplay elements and a longer story, showing the origins of Aperture Science. The narrative of Portal 2 was as innovative as the gameplay. The game featured only five characters, two of which were dead, a couple of whom were robots and one, the protagonist, who was mute. 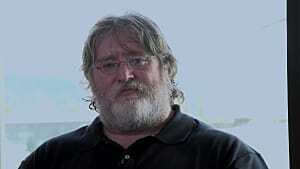 This combination seems unlikely to deliver a compelling plot, but writers at Valve managed to develop a successful story that the gaming community regards as one of the best in the medium. 1. Let players use their imaginations. Many characteristics set us apart from other animals -- and one of them is our innate ability to imagine objects, images, and situations that do not exist. While reading a book, we test our imagination to its limit, as we turn the words printed in the pages into scenes in our minds. This is one of the reasons why reading a good novel is a compelling experience. It allows the readers to create a whole universe within their heads and enables them to add their own special touch to it. The story written will be the same for every reader, but the way you picture the characters, settings, and how the events unfold will depend on your memories, knowledge and personality. What you create in your mind is yours and yours alone. People tend to hold dear what is exclusive to them; therefore, a story that allows the audience to use its imagination tends to be more engaging. In Portal 2, writers at Valve applied this concept from literature by making players travel through the old sections of Aperture Science, whilst listening to audio tapes recorded decades before. The areas players encountered as they explored the ruins of the old testing areas worked in tandem with the audio tapes, in order to provide just enough information to keep the audience moving in the right direction with the plot. The details of how the events unfolded, however, were left out -- so it was up to the player’s imagination to visualize what happened in that locale decades before. No matter what players imagined, each member of the audience pictured it in a different way, thus creating a more personal and meaningful experience to each player. 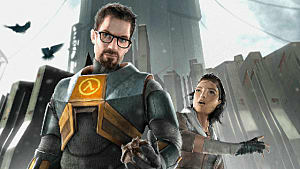 Developers at Valve used the aforementioned concept from literature in order to implement a secondary story in the game’s narrative. In this case, the struggle of Doug Rattmann to survive in the confines of the Enrichment Center, without succumbing to insanity. Players found traces of him, his drawings, and his dens -- where he left cryptic messages behind. Developers introduced the element of imagination when players encountered Rattmann’s traces and theorized over the meaning behind them. And as stated above, the theories each player conceived of through their own imaginations were unique to them, thus becoming more meaningful. The proof this concept worked is the thousands of pages on the internet with fans passionately theorizing on the meaning behind the drawings and dens left by Doug. But a secondary plot must not rely solely on the player’s imagination in order to be successful. It must also be related to the primary story of the game -- otherwise players may not have interest in it. 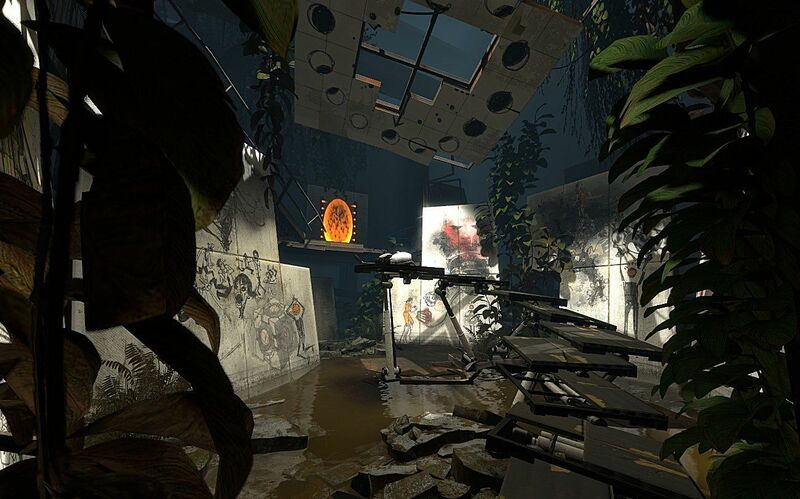 Developers at Valve made sure the player knew that the mysterious drawings painted on the walls mattered, by showing a painting of Chell early in the game, in a location the player could not ignore (picture above). That was the developer’s way of saying “this is important, look at this”. 3. Less can be more. 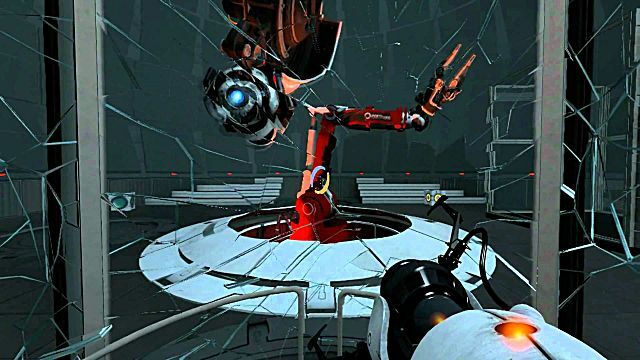 Portal 2 has a charismatic cast of characters, but players rarely hear them talking. 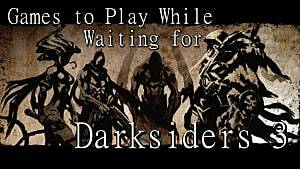 And even when they drop a line, it is usually short -- unlike other games with minutes of dialogues in cutscenes. Throughout most of the story, players face a silent experience. The writers did this for two reasons, and the first one is to reinforce the mood of the game: solitude. As players travel through a facility with miles of area without encountering another human being, loneliness is the natural sentiment, and the deafening silence within the walls of the complex enlarge this feel. 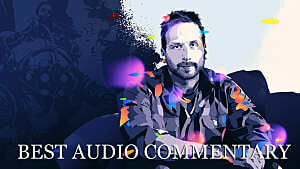 Having characters speak too often would defeat the purpose of building the atmosphere and the mood of the game. The second reason why lines of dialogue are scarce in Portal 2 is to add value to the characters. Remember, anything that is found in abundance loses its value and the same principle happens there. As they do not talk often, each time they do is an event in and of itself, considering how charismatic they are. Giving them too many lines of dialogue would make each line less special. Even if a production has interesting characters, it is wise to avoid using them too often. Everything needs an opposite, and opposites attract. 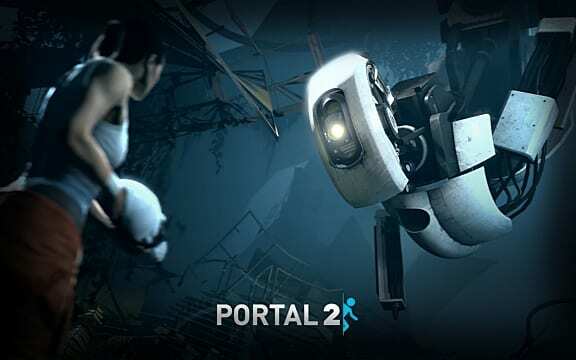 An intelligent line placed after a long period of silence will contrast with the silent moments and shine brighter, which is exactly what happened in Portal 2. An unfortunate example of writers ruining a character by using it too often is Ghost from Destiny. He speaks so frequently and for so long that his presence becomes irrelevant over time. Many aspects were wrong in this character from Bungie’s latest title, and this was one of them. Writers must use their characters wisely and keep them precious. 4. Keeping the player in control. Valve’s modus operandi, when it comes to narrative design, is to avoid cutscenes at all costs. This is a wise decision, considering that the selling point of video games is interactivity and productions in this industry should try to deliver information in a way that keeps the player in control. The aim is to design an experience that is unique to this medium, thus setting it apart from existing forms or art by creating its own language. Taking control away from players and forcing them to watch a cutscene would defeat this purpose. 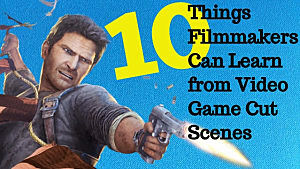 You may argue that games ranging from Metal Gear Solid to Uncharted depend on cutscene-driven narratives, and were successful. And you might be right, but it is important to know that using cutscenes is not the optimal choice for every game. The two productions cited above are third person shooters, where the camera is far from the faces of the characters -- making it hard for players to see their facial expressions and leading to a diminished emotional appeal in the story. In this scenario, the writer can implement a cutscene in order to get the audience closer to the faces of the characters for dramatic purposes. In a first person game, on the other hand, cutscenes rarely are necessary, considering that the point of view of players allows them to see the details and the facial expressions of those around them. 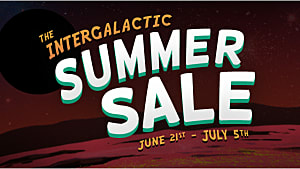 In the Portal franchise, the player remains in control at all times. This helps maintain a continuous interactive experience without breaking the mood and the pacing of the game -- the way video games in first person should be. A predictable story is a boring one. In order to keep the audience engaged, the writer needs to develop a narrative in which a surprise strikes without notice. 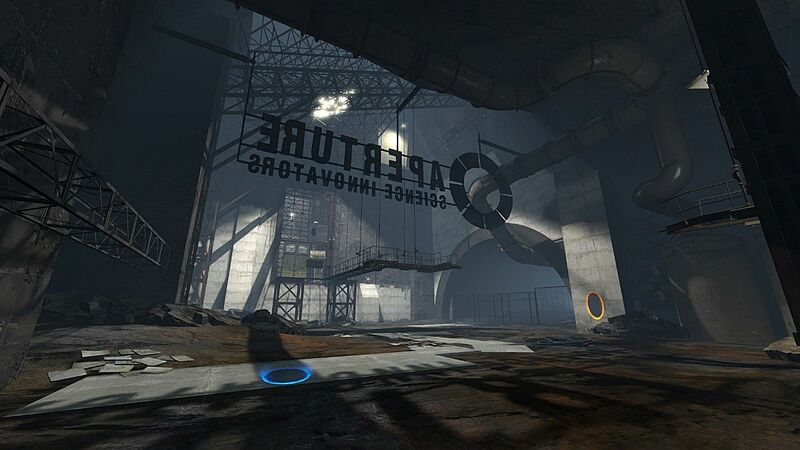 There are plenty of methods to achieve this, and in Portal 2 the writers added the element of surprise by breaking patterns. 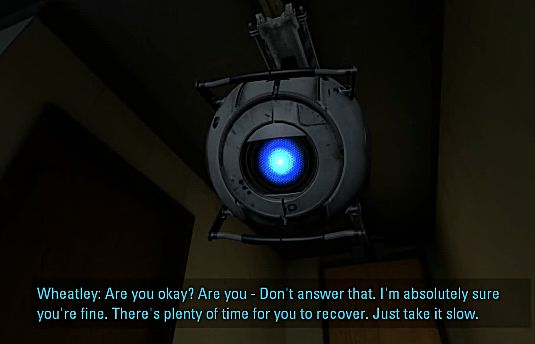 Wheatley once was a funny little robot who only wanted to help, until he went rogue. The AI Chell knew no longer existed, after taking GLaDOS’ place. Consumed by power, Chell’s only friend became her greatest enemy. GLaDOS went on the opposite route, by being Chell’s biggest enemy and later on siding with her in order to defeat Wheatley. These two surprises were only possible because people tend to detect and follow patterns -- and the writers used this fact to their advantage. They developed these characters with a clear personality. They built a behavioral pattern around them. And once players thought they knew these characters so well they could anticipate their actions; the writers broke the pattern, thus creating the element of surprise and more engagement on the part of the player. This technique is not valid for character development only, as the team used it in other areas as well. The core activity of Portal 2 consists of shooting portals into walls in order to move through an area -- and then repeating this process for approximately 10 hours. 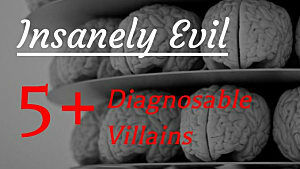 This premise may not seem fun, yet it delivered an unforgettable experience. One of the techniques used to retain the interest of players was breaking patterns regarding the areas explored in the game. 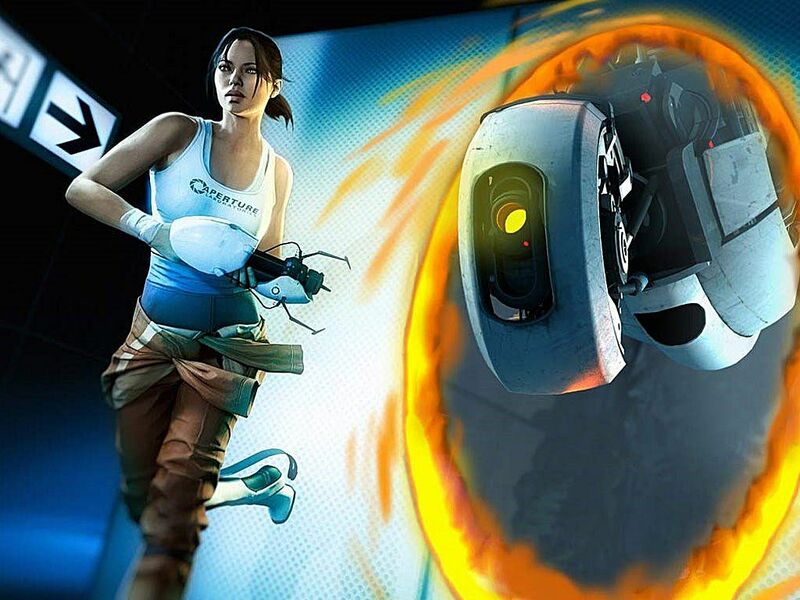 In the first installment of the franchise, the only major shift in setting occurred when Chell escaped from the final testing chamber and entered the offices of the Enrichment Center. Considering how short the first game was, this single change sufficed. But in Portal 2, the story was longer, making it necessary to add more variation to the maps. The player started in a destroyed version of the Enrichment Center, which was then rebuilt by GLaDOS. Chell proceeded to be betrayed by Wheatley, who sent her to the old offices of Aperture Science. The changes in setting continued as the player progressed. Had the story occurred in a single section of the facility, players would have lost their interest very quickly. If the players can anticipate what comes next, they will soon get bored. 6. Don't forget the fun. 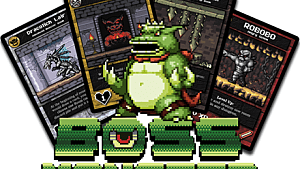 As players move further into the game, they are introduced to new gameplay mechanics that increase the challenge of the puzzles. 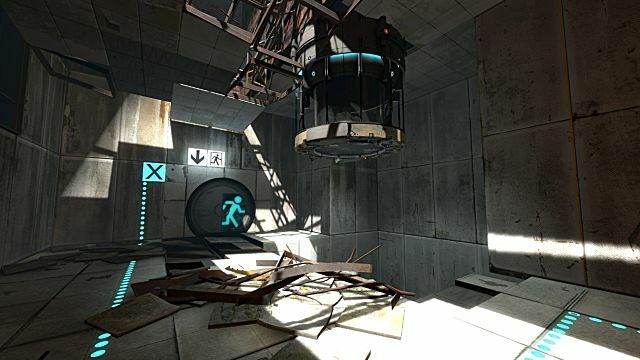 Some argue that Portal 2 is a long tutorial, given that players continuously learn how to play the game each time a new feature is added. All of the techniques described in the topics above culminate in this one. The most important element of a game is learning how to play it. And the Portal franchise does not use texts, cutscenes. or training areas to tell players what to do. The mechanics must be discovered intuitively by the audience, which may lead to a process of trial and error -- hence the necessity of all of the techniques mentioned above. A mistake novice game designers often make is dedicating all of their effort to crafting the gameplay mechanics. Obviously they are important, but so are all the other areas of the game, which must be used to deliver the best experience. If players are engaged in the experience, they will be motivated to learn how to play, even it the learning curve requires a process of trial and error. They will continue to fail, fail often, bust most importantly, they will fail forward, until they learn how to master the gameplay mechanics. Remember, people learn better when they are having fun. 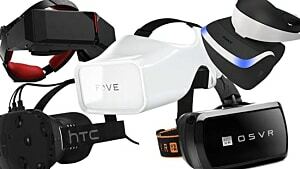 This is an aspect that the developers of Valve achieved through the concepts established in the topics above and via other techniques that were not mentioned in this article. Portal 2 is a masterpiece of the gaming industry, and the points above barely scratch the tip of the iceberg in regards to the construction of its narrative. But I hope these insights could get you a better understanding on the techniques used to design this game. What the future holds for the Portal franchise remains to be seen, but it will be a long time before its narrative design starts to feel outdated.